A lot of different styles are on display this month. From strawberry wheat to passionfruit DIPA, this might just be our favourite curation yet! 4102ml. 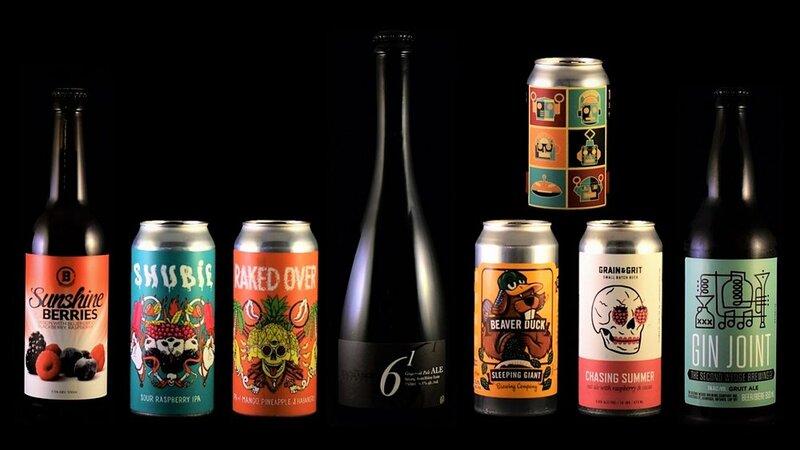 7 unique breweries and 9 unique beers. CITERE - Brewed exclusively for our members, this IPA is a mash up of the deliciously melon forward Moutere and the tried and true citrus, mango dominant Citra. Together, Citere makes for a luscious treat of uniquely enticing New Zealand fruity character, backed by the delectable familiarity of American hop character. It tastes like a happy marriage between mango, melon, citrus and grapefruit. A fruity, polygamous delight. One of two versions of our annual The Thaw release. A saison fermented with brettanomyces, aged in white wine barrels for 7 months, then refermented on Pineapple & Mango. Strong vanilla oak flavours, with pear and apple notes from the chardonnay barrels. The peach apricot version is bright and juicy while the pineapple mango accents more acidity. Both have a dry finish and will continue to develop more funk over time due to the brettanomyces used in bottle conditioning. One of two versions of our annual The Thaw release. A saison fermented with brettanomyces, aged in white wine barrels for 7 months, then refermented on Apricots & Peaches. FireWire Citra IPA is the second in a series of New England style IPAs From Signal Brewing Company. Great hop flavour and aroma with a very balanced bitterness that makes this beer extremely drinkable and approachable. 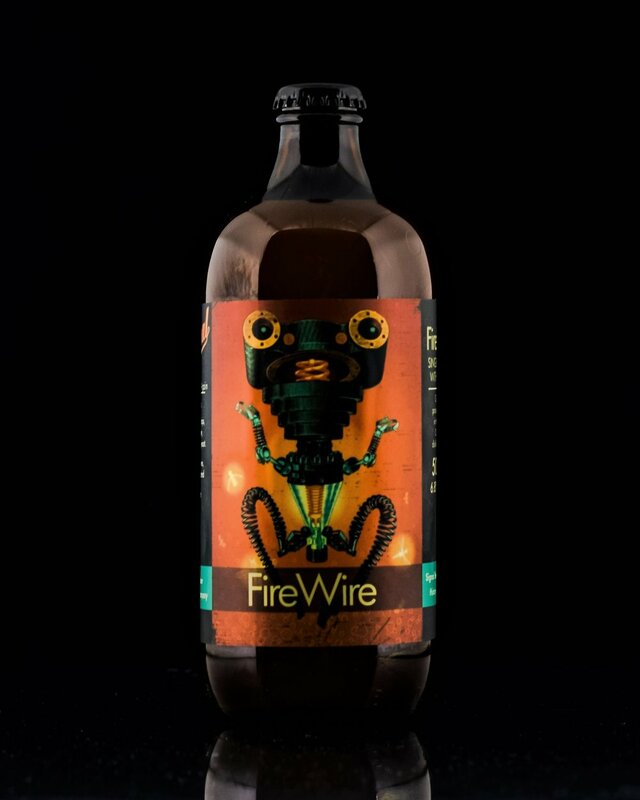 We previously featured the Simcoe variant of FireWire! Using fresh local strawberries, this is a perfect blend of strawberry juice and a light wheat ale. A little taste of summer — hopefully soon to come! Our latest partner brewery is Common Good (Scarborough)! 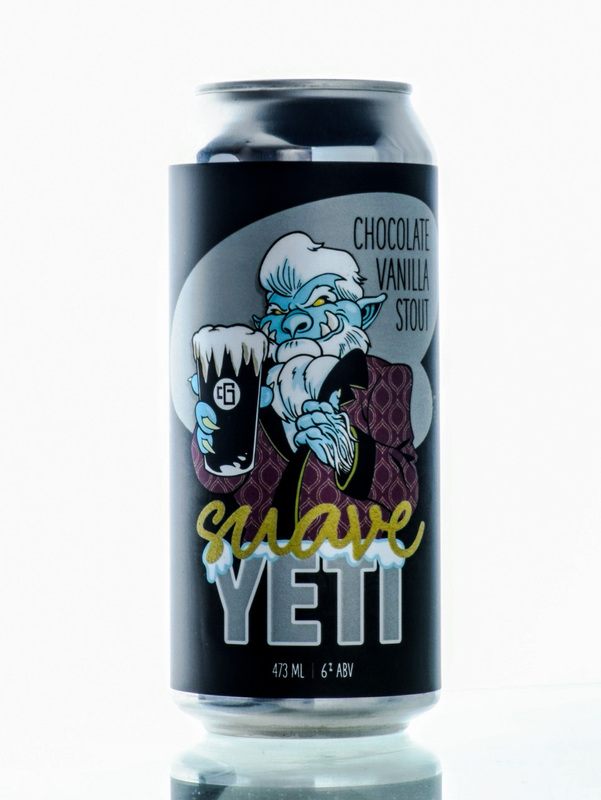 Their Chocolate Vanilla Stout is brewed with cocoa nibs and Madagascar bourbon vanilla beans. The flavors are prominent, yet subtle, and by no means a dessert stout. This is the first stout we've ever put in our curations, and we're sure this will change the mind of everyone who doesn't yet like stouts! This is like a cream ale, but it’s been lagered and made with lager yeast. This makes it much lighter in colour than a cream ale, with a crisper, cleaner finish. It is incredibly creamy due to the amount of oats that it was brewed with. What was your FAVOURITE beer this month? 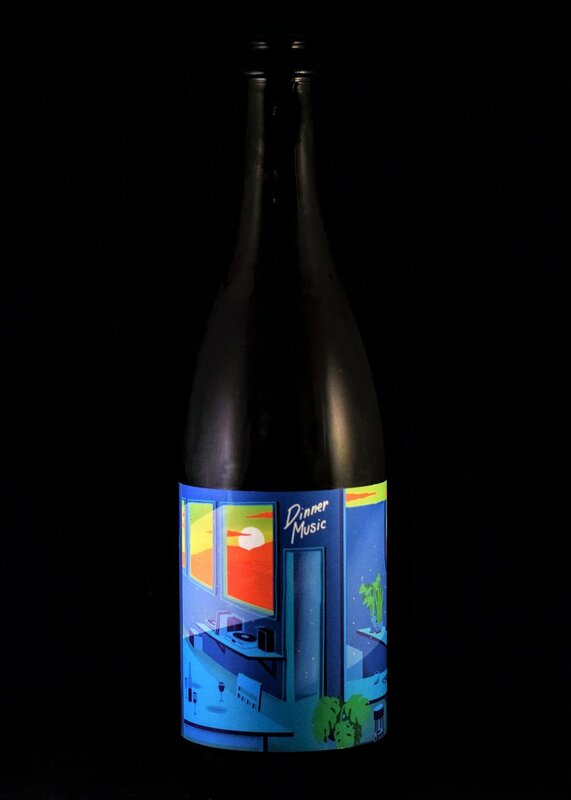 What was your LEAST favourite beer this month? This month, we welcome Left Field (Toronto) and Grove Brewhouse (Kingsville) into our subscription service. In addition, another exclusive Badlands release - this time, its an IPA with Citra and Moutere. 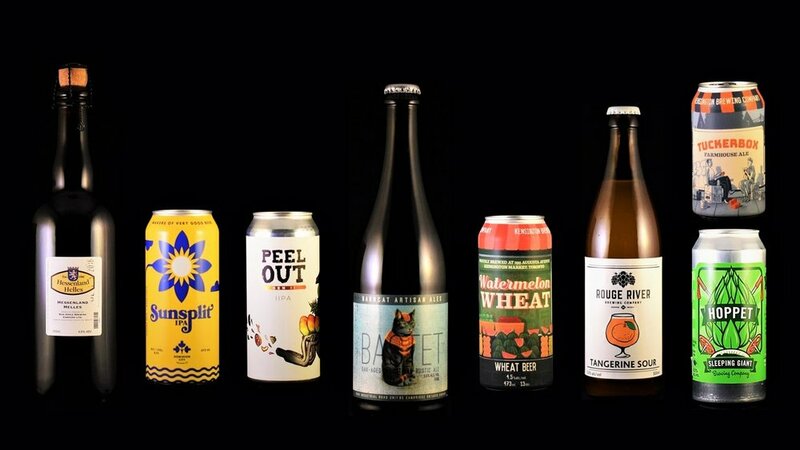 9 unique breweries and 9 unique beers. When you’re out on the road, away from home, and looking for some suitable tunes, you play Radio Roulette. Seek and scan, seek and scan, until something grabs your attention. We invite you to try Radio Roulette of a different sort. Featuring a pair of new age German hops, Mandarina Bavaria and Hallertau Blanc, this IPA will take you away from familiar roads. Red berry, white grape, cantaloupe and tangerine can be found in the aroma, with lemongrass, citrus pith and melon flavours being supported on a cracker and light bread malt base and a moderate, soft bitterness. 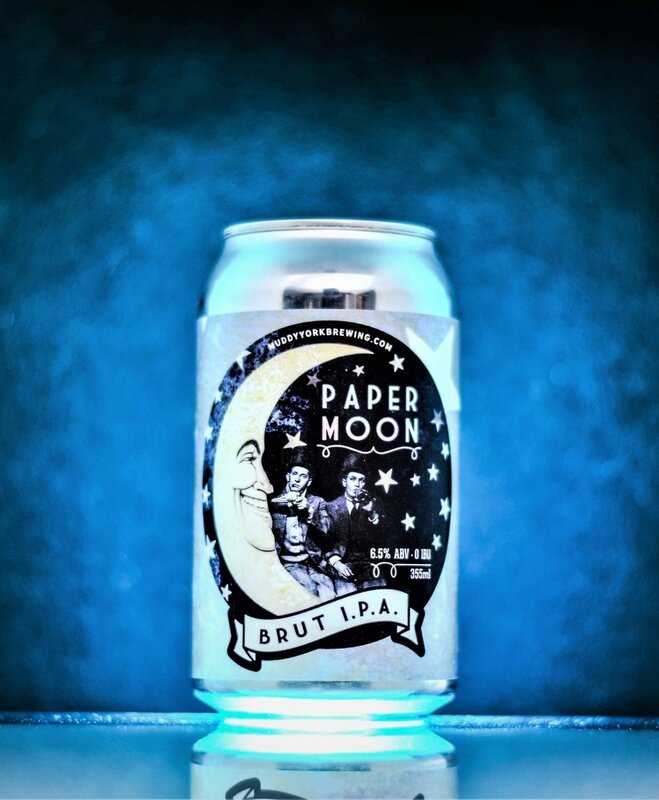 This medium bodied IPA finishes moderately dry and is that new hit you’ve been looking for among the same old tunes. Happy to feature Folly Brewing again! One of the lesser known microbreweries in Toronto, and one of our absolute favorites. We recommend that everyone visits and gives their wide variety of available beers a try! Here we have "Voss Baby," a 4% Pale Ale fermented with Voss Kveik and hopped with Galaxy and Enigma creating a delicious baby pale ale. 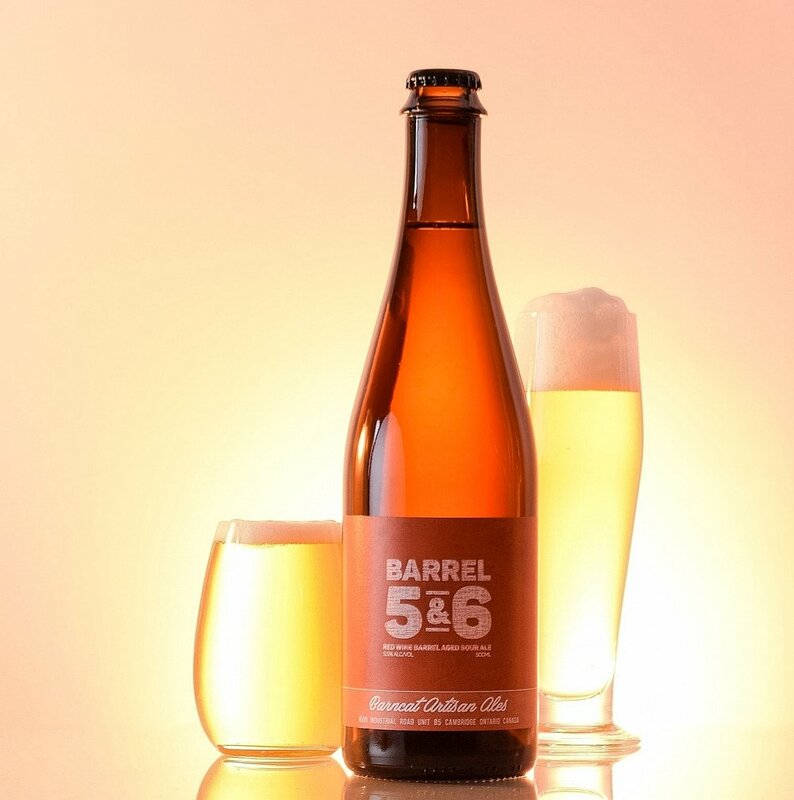 A collobartion brew with Market brewing. 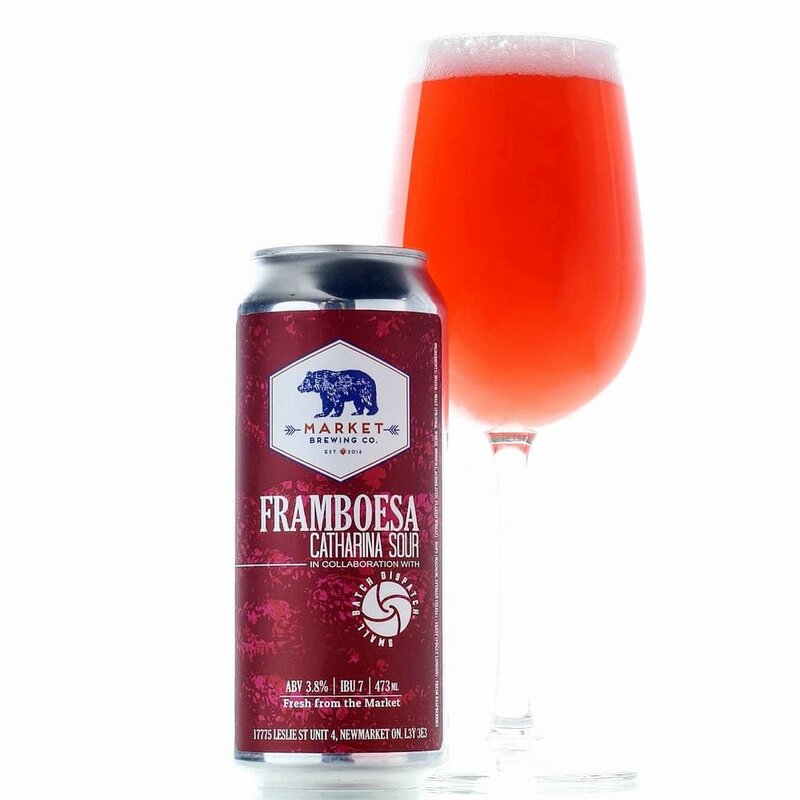 This raspberry loaded sour is a little taste of summer. You might not be familiar with the style, “Catharina Sour” yet as it originates from Brazil. This style is fruit forward (using only real fruits — not purees), wheat based, with a low abv. "When Hiram Walker built the Lake Erie Railway, he built one track that specifically transported his workers to a place called "Paradise Grove". Being right on the water and covered with green space, Walker established this area as prime real estate for vacationing. This place is modern-day Kingsville. We crafted this clean and crisp lager to reflect Walker's intentions, giving our community a taste of paradise." Located in Kingsville, ON. This is Canada’s Southern-most brewery. “Working Hard” NEIPA features VQH Farms Centennial & Chinook hops. This tropical juice bomb is thick and hazy with notes of peach, apricot, mango, and passionfruit. We traded in the slow sippers for thirst quenchers to celebrate Canada Day long weekend. Enjoy 7L of delicious, refreshing beer all weekend long. Read below to learn about each beer you received. Disclaimer: one or two slow sippers may have made their way into this curation. Made out in the countryside of Lake Huron, this is the most refreshing dark lager you'll ever find. It has natural coffee and chocolate notes without the heaviness you typically find in these styles. No overly sweet body or ashy finish either. You typically don't think dark beers in the summer, but this goes down so smooth. Hefe for yeast, weizen for wheat. Fermented with German-born ale yeast known for its pronounced flavours of clove and banana. Embrace the season with this perfect Spring/Summer beer. This brew is soured in our brew kettle, giving a mild tartness and puckering mouth feel. A light bodied, refreshing brew. Learn more about this style. Loaded with fresh Ontario-grown rhubarb and pumped full of juicy raspberries, this farmhouse ale is tailor-made for a warm day outside. Earthy, spicy, crisp and dry yeast notes complement tart rhubarb and raspberry character. This beer pours a pleasant deep pink with rose-coloured head. Pairings: Dominion City recommends pairing with triple cream cheese, sturgeon, molten lava cake. 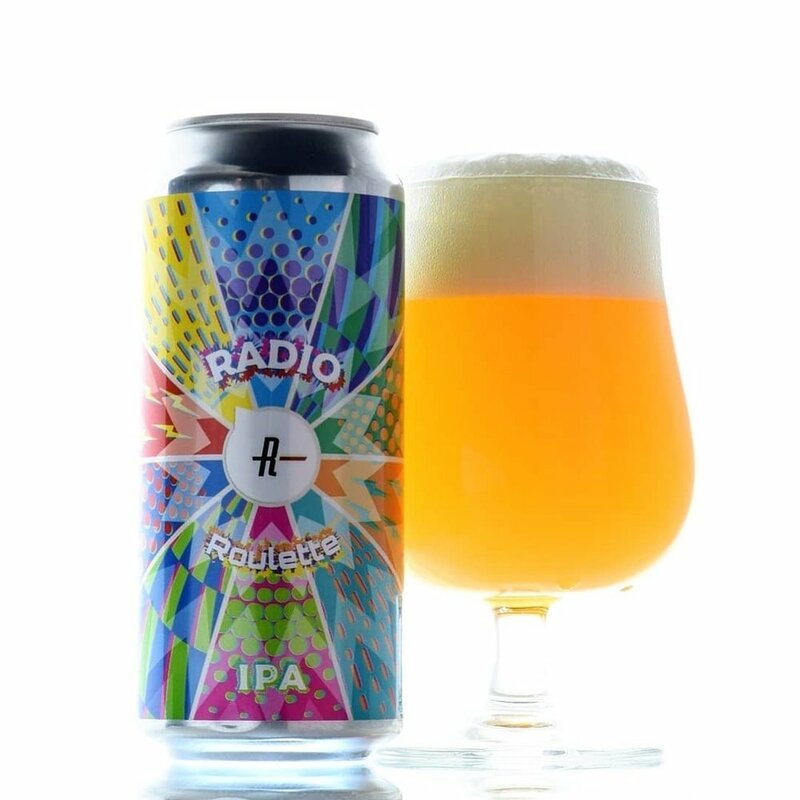 While light and refreshing, Radio Tube packs a ton of flavour, delicately combining gentle notes of biscuit with a pleasantly bitter hop character. We enjoy it with grilled halibut served in a creamy dill sauce on the patio. Ingredients: Pilsner, Carahell and Carafoam malts, and Saaz hops. An incredibly easy drinking wheat beer. Canned for the first time ever, the run was so small that owner/brewmaster had to cross out the original 750ml label and write in 473ml above it. A lager made from a strain of yeast from Zurich, Switzerland. Being located in Zurich, ON; when owner/brewmaster heard about this strain being released in the US, he had to have it. This strain of yeast provides so much flavor despite going down as easy as possible. 24 hours of souring in the kettle, some freshly toasted coriander seed, and sea salt help to make this wheat-forward style a bit tart, extremely thirst-quenching but with a delicate, briny finish. After fermenting with our house strain, we aged it on puréed blackberries bringing out an immense depth of fruit flavour. Purplish-pink in colour, with a juicy blackberry character that leads to a light citrus and pepper note. This dry hopped lager was made for that Spring feeling. It uses Simcoe, Mosaic, and Azacca hops for notes of tropical fruit, mangoes, citrus, and just a hint of pine. Pilsner and Vienna malts provide an understated but elegant background of crackers, fresh bread, and a touch of sweetness. 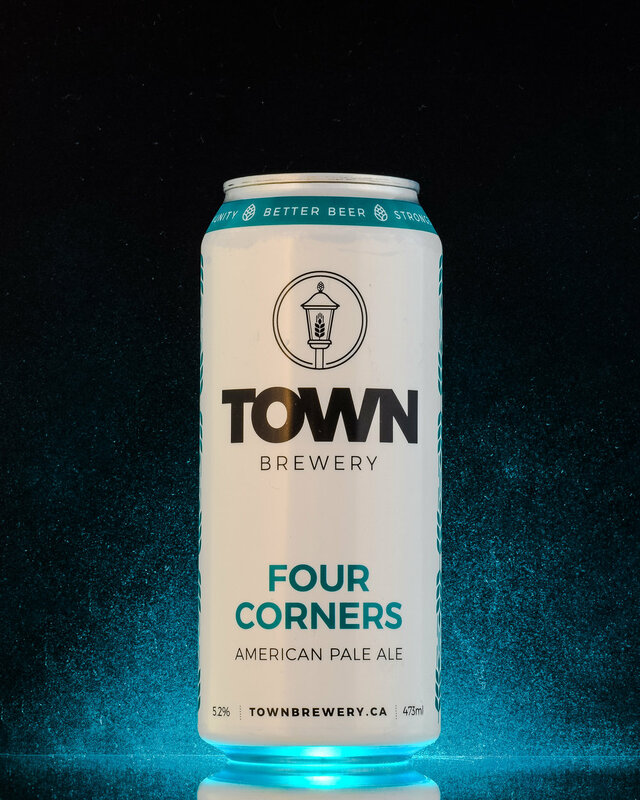 Fermentation with a lager yeast and extended cold conditioning provide a crisp and invigorating finish and allow the hops to really shine through. Let us know which beers you enjoyed most and if you wanna see a similar format again!